(LEWES, Del.—Dec. 5, 2017)—Due to unforeseen circumstances, the lecture, “A Dead Whale or a Stove Boat, Part Two,” scheduled for Dec. 9, 2017 at the Zwaanendael Museum in Lewes, Del., has been cancelled. The content of the program will be incorporated into “A Dead Whale or a Stove Boat, Parts Two and Three” that will take place on March 24, 2018. Following is a long-range schedule of Zwaanendael-Museum-sponsored special events through May 2018. 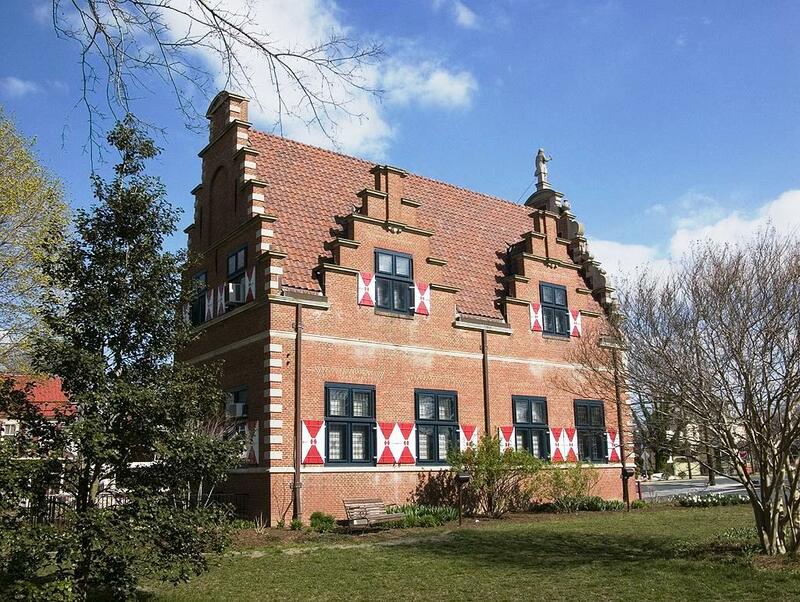 All programs take place at the Zwaanendael Museum located at 102 Kings Highway, Lewes, Del. From Nov. 1 to March 31, museum hours are Wednesday through Saturday, 10 a.m. to 4:30 p.m. From April 1 to Oct. 31, museum hours are Tuesday through Saturday, 10 a.m. to 4:30 p.m., and Sunday, 1:30 to 4:30 p.m. All programs listed are free and open to the public. For additional information, call 302-645-1148. CANCELLED: “A Dead Whale or a Stove Boat, Part Two.” Lecture by historic-site interpreter Andrew Lyter on the glory days of the American whaling industry (1783–1861). Part of “Global to Local: International Events and the First State,” a series exploring how world events impacted Delaware’s history. Dec. 9, 2017 program cancelled and incorporated into March 24, 2018 program. “Buccaneers in the Bay.” Lecture by historic-site interpreter Kaitlyn Dykes on the pirates of Lewes, Del. Part three “Global to Local: International Events and the First State,” a five-part lecture series exploring how world events impacted Delaware’s history. Program at 2 p.m. on the museum’s 2nd floor (entry via staircase; no elevator). Free admission but, due to space restrictions, reservations for the lecture are required by calling 302-645-1148 no later than Jan. 12, 2018. ”Seafarers Folk Art.” Program featuring demonstrations and hands-on activities. Part four of “Global to Local: International Events and the First State,” a five-part series exploring how world events impacted Delaware’s history. Program at 2 p.m. on the museum’s 2nd floor (entry via staircase; no elevator). Free admission but, due to space restrictions, reservations for the lecture are required by calling 302-645-1148 no later than Feb. 16, 2018. “The Archaeology of a Free African-American Household in Central Delaware at the turn of the 19th Century.” African-American History Month lecture by John P. McCarthy, RPA, cultural preservation specialist for Delaware State Parks. Program at 2 p.m. on the museum’s 2nd floor (entry via staircase; no elevator). Museum open 10 a.m.–4:30 p.m. Free admission but, due to space restrictions, reservations for the lecture are required by calling 302-645-1148 no later than Feb. 23, 2018. “A Dead Whale or a Stove Boat, Parts Two and Three.” Lecture by historic-site interpreter Andrew Lyter on the glory days of the American whaling industry (1783–1861) followed by its decline and death (1861–1927). Final segment of of “Global to Local: International Events and the First State,” a five-part series exploring how world events impacted Delaware’s history. Program at 2 p.m. on the museum’s 2nd floor (entry via staircase; no elevator). Museum open 10 a.m.–4:30 p.m. Free admission but, due to space restrictions, reservations for the lecture are required by calling 302-645-1148 no later than March 23, 2018. Program incorporates material originally scheduled to be presented on Dec. 9, 2017. Dutch-American Friendship Day. Discover Delaware’s Dutch roots and learn how that connection is alive today. 10 a.m.–4:30 p.m.
King’s Day. Celebration of the birthday of King Willem-Alexander of the Netherlands in a program that will also explore royal titles and Delaware’s Dutch connection. 10 a.m.–4:30 p.m.
“A Sailor’s Life for Me”—Zwaanendael Museum’s 7th Annual Maritime Celebration. Maritime-themed activities including living-history re-enactors, encampments, musket drills, displays, demonstrations, tours, lectures and more. Downtown Lewes locations including the Zwaanendael Museum. 10 a.m.–4 p.m.
“Discovering Delaware’s Maritime Past.” Display explores the DeBraak, a shipwrecked 18th-century British warship including a photo of the hull recovery, reproductions of items aboard ship and a model of the vessel. “Rose Color to Gold to Glowing Red: Orville and Ethel Peets in Paris 1913-1914.” Exhibit featuring paintings and painting materials used by the noted Delaware artists Orville Houghton Peets and Ethel Canby Peets. “A Seaborne Citizenry: The DeBraak and Its Atlantic World.” Exhibit utilizes artifacts recovered from His Majesty’s Sloop of War DeBraak, a British warship that sank off the Delaware coast on May 25, 1798 to tell the story of the vessel, its crew and the historical context within which it operated in the Atlantic World of the late 18th century. The Zwaanendael Museum is administered by the Delaware Division of Historical and Cultural Affairs, an agency of the State of Delaware. The division enhances Delaware’s quality of life by preserving the state’s unique historical heritage, fostering community stability and economic vitality and providing educational programs and assistance to the general public on Delaware history and heritage. The division’s diverse array of services includes operation of five museums which are accredited by the American Alliance of Museums, administration of the State Historic Preservation Office, conservation of the state’s archaeological and historic-objects collections, operation of a conference center and management of historic properties across the state. Primary funding for division programs and services is provided by annual appropriations from the Delaware General Assembly and grants from the National Park Service, Department of the Interior, a federal agency. However, the contents and opinions expressed in the division’s programs and services do not necessarily reflect the views and policies of the Department of the Interior.